Lock in a great price for P.U. Inn Resort – rated 8 by recent guests! It is easy to walk around. It is very relaxing to stay here. The owner is so friendly and so helpfull. The facilities are great and the staff were very helpful in every possible way. Great location as well! The boat trip and tuk tuk arranged by them met the expectations! Restaurant's food is very good and great pool! I'm was very satisfied! except the lady name SU , nothing was right about this place . Great friendly staff. Pristine facility. Nestled in a quiet corner of town. Bonus view out of the back of the room. The room was big enough with to king size beds. There was nice view from the back window. The room was cleaned everyday. There was a swimming pool. Lovely staff, quick easy check in and good references for where to eat. The staff is very helpful and the atmosphere is lovely! The owner was very friendly and gave good advice. The swimming pool is super. P.U. Inn Resort This rating is a reflection of how the property compares to the industry standard when it comes to price, facilities and services available. It's based on a self-evaluation by the property. Use this rating to help choose your stay! One of our top picks in Phra Nakhon Si Ayutthaya.P.U. 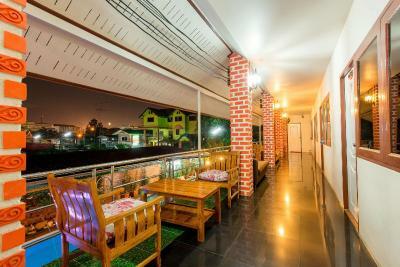 Inn Ubonpon is a 5-minute walk from Chao Prom Market and Ayutthaya Bus Terminal. 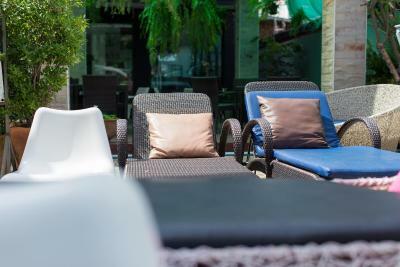 Offering air-conditioned rooms with free Wi-Fi, the property is equipped with a tour desk and shuttle service. Massage treatments can be arranged upon request. The hotel is a 10-minute walk from Mahathat Temple and Rajaburana Temple. 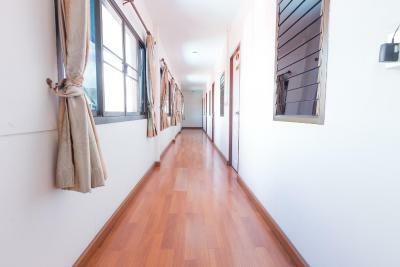 It is a 30-minute drive from Don Muang Airport and a 1.5-hr drive from Suvarnabhumi International Airport. Rooms at P.U. Inn Ubonpon are fitted with colorful decor. Each room comes with a flat-screen cable TV, a sofa seating area and a refrigerator. Shower facilities are included in a private bathroom. Guests can sample Thai and western cuisines all day at the restaurant. Beverages are also served at the bar. When would you like to stay at P.U. Inn Resort? Larger air-conditioned room comes with a flat-screen cable TV, sofa and a refrigerator. Shower facilities are included in a private bathroom. Air-conditioned room comes with a flat-screen cable TV, balcony and a refrigerator. Shower facilities are included in a private bathroom. House Rules P.U. Inn Resort takes special requests – add in the next step! The hotel restaurant was good and very fairly priced. The owner is really nice and helpful. She happily arranges trips by tuk-tuk and boat to see temples around the city. The pool was always kept neat and clean. We are very happy with our stay! Great Location, bars and food places just down the street. Owner is very friendly. Pool is simple and great for cooling off. On site cafe sells cheap food and drink, if your not too fussey about the finer details then overall its great value for money. travelling with 3 kids, this hotel is a great value. The owner is really customer focused and friendly and proposes additional activities like the boat trip or tuk-tuk temple visit including (or not) a very cool monkey stop. We’d book again without hesitation. Good location, run well the owner was very helpful. Hotel being renovated, strong smell of paint and other materials. Some ash in the pool, due to farmers burning the land. I was a bit confused about whether to remove my shoes before entering the accommodation block. 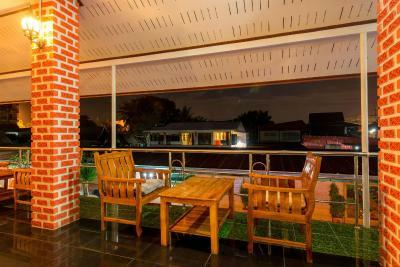 Set in a quiet street but less than 5 minute walk to bars/cafes. Very clean, excellent comfy bed, nice pool and terrace cafe. Owner PU was a whirlwind of helpful suggestions and arranging tours. 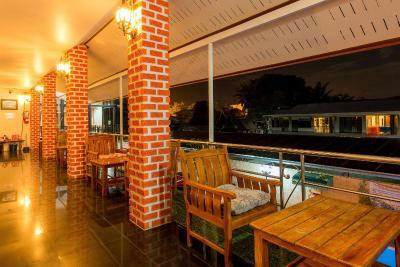 Nice location in Ayutthaya with a few nice bars and restaurants around the corner. Very friendly and helpful staff. Very pleasant stay! The room was very dark so we lost some belongings. We didn't have a balcony. It was more a guest house than a resort and breakfast was pretty unexciting. We got talked into a boat trip and he crammed so many in he broke down and took ages to mend the boat. Then we had to walk from the very unexciting night market. The pool was nice when it wasn't full of children. One of the rooms had faulty facilities making it necessary for changing room daily. Rooms booked at same level were of different quality. Rooms were overloadad with furniture. We understand somethings else under a resort, not only the existence of a pool! Excursions sold are uncomfortable and not recommended for older people. Wonderful place! Hotel has what you need. Location is good; visits, market, quiet place. Restaurant is good, thai food and continental breakfast. Prices are very competitive. Boat trip proposed by hotel manager is very nice. Perfect schedule with the sun set and the night market. Breakfast is Ok but could be improved with a continental style selection of croissants, meat and cheese . Great, relaxed hotel with spacious rooms and a super refereshing pool. The lovely owner took the time to take us to the train station as all Tuktuks were busy for Chinese New Year. There was a bit smell from sewer system. VERY friendly crew. Nice settiing with pool and restaurant. We had a family room with two single and one double bed. Comfy beds! Adequate room for 3 adultes with big luggadges. The boat trip to visit 3 temples was ok but the two not so important ones were not open due to construction works. (Feb 2019) Evenings are some nice restaurants in vicinity.